The business competition in today’s date is tougher than ever. The augmentation of your organization requires improvement constantly, and we have exactly what you need to have an outstanding User Interface and User Experience. We built and assist you with upgrading Android, iPhone and cross-platform applications. 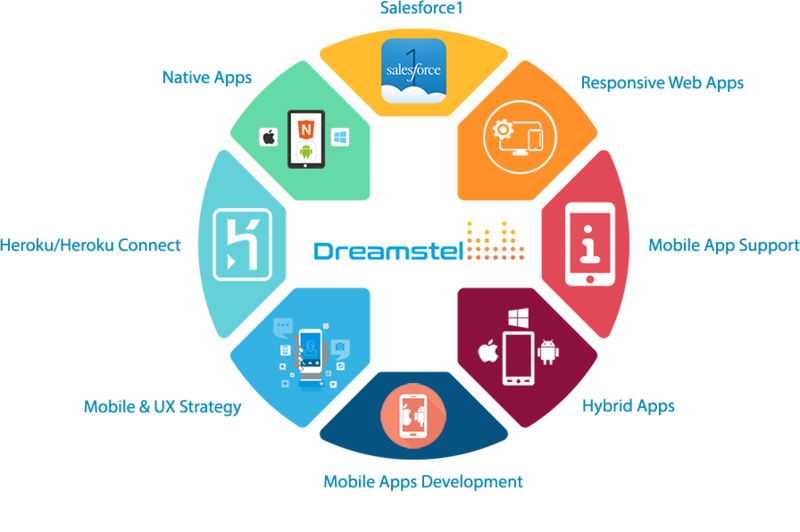 We understand the importance of mobile application development is our forte, we believe in bringing creativity, innovative ideas and progress to every app we develop. We can develop and deliver any kind of iOS app for you, no matter where you are in the world. An association built with us is going to promise you extraordinary quality every time we build a rich iPhone application for you. Our Android applications are made easy to use. The team behind the scene are certified IT professionals who pour out their creativity and ideas on every project that we handle. We create highlight-rich cross-stage arrangements, and we do this by covering propelled cross-stage advances and patterns. We take after cascade techniques with visual outlines, enhancements, arrangements and quality examinations. Get custom mobile applications that are innovative and easy to use and suited for the Salesforce platform. We enable you to use mobile devices and SFDC cloud services to perform business tasks better. We build location-based apps that work marvelously on the android platform. You can choose from the 10 best mobile application development platforms, and we’ll develop the exact kind of app you want. We build a mobile application development plan and work with a strategy that prioritizes quality above all.